Hello, my lovely readers and all! What are you cooking this autumn? Have you tried this nice salad, just a few simple ingredients but full of flavour and different textures in it! And of course the season’s star butternut squash in it, or use pumpkin, both are nice! And sprinkle the salad with some roasted pumpkin seeds for a lovely crunch! 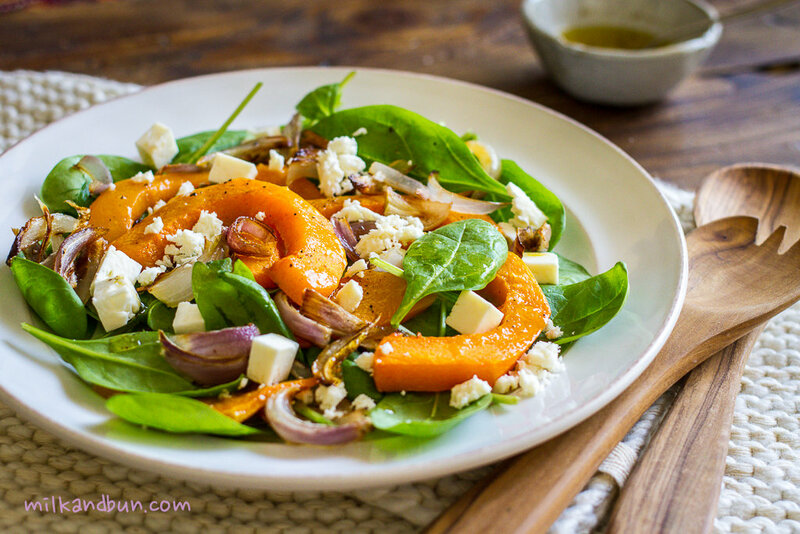 This delicious warm salad is perfect for cold months. Yes, it is simple but bursting with flavour, and of course it contains the main autumn ingredient – beautiful winter squash! 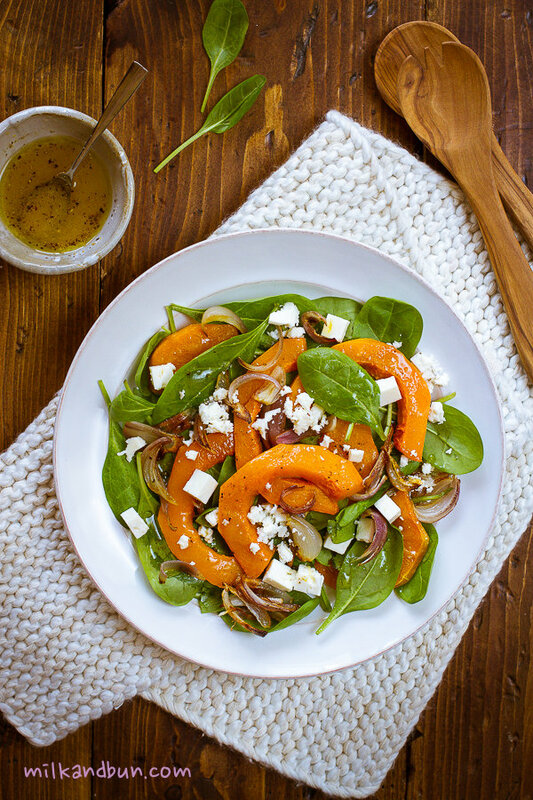 Slightly sweet roasted butternut squash together with salted feta and fresh spinach leaves create nice and tasty salad, perfect in its simplicity. And don’t forget to sprinkle the salad with raw pumpkin seeds (as I did.. haha)!